This concoction of flavor actually ends up tasting much like the root beer you are so used to buying at your local grocery store. While the flavor varies depending on the ratio of your mixture, what I can promise you is nothing short of “candy” beer. This beer now taste much more like root beer than ever before, and for those of you out there that haven’t quite adjusted themselves to the acquired taste of beer, i submit this to you directly now. Try this mixture, and tell of it’s glory. You will feel better, and it will be a stronger alcoholic anomaly than you realize. It will taste better than normal beer, and it will effect you more than normal beer. Think about that one. You get to taste root beer like flavor, and still get more of an effect out of the drink. Try it out for yourself, and see how you like it. 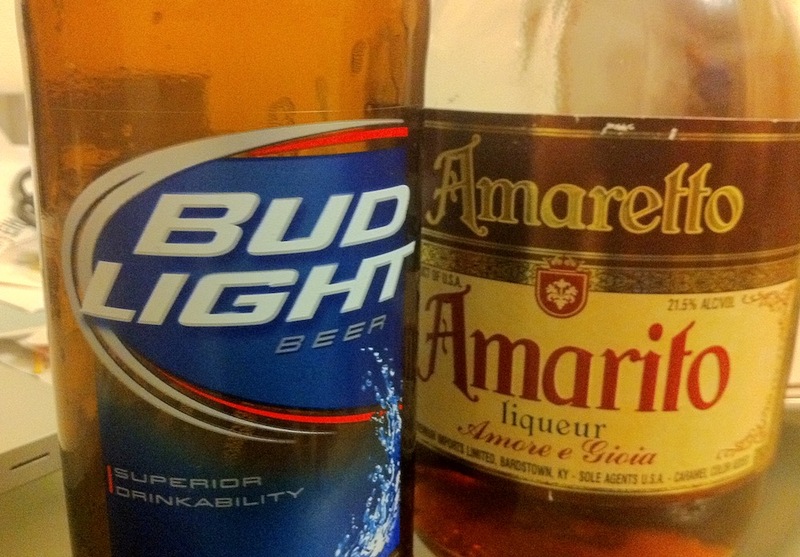 Take 1 shot of Amaretto to a full beer. That’s it. That’s the simple, and magic mixture. Next story The Day I Helped Film A Western! Previous story Frustration: The Story of Indian Call Centers.